Our Walk and Talk sessions or what we like to call them ‘Walking Wednesdays’ are about getting people out for a walk and a talk. They serve as a nice little break and provide an open and friendly atmosphere where people are able to speak to each other. They can also speak to members of Liverpool Homeless Football Club about anything they want to, whether it be just a quick chat or some advice and guidance. To get people out for the walks, we collect people in our Smiley minibus. This means you don't need to think about travel if you're coming from a hostel, temporary accommodation or even if you're on the streets. Our friendly staff will drive you up to the venue for that day where we spend some time exploring some beautiful scenery. In 2017, we had great success with our sessions. 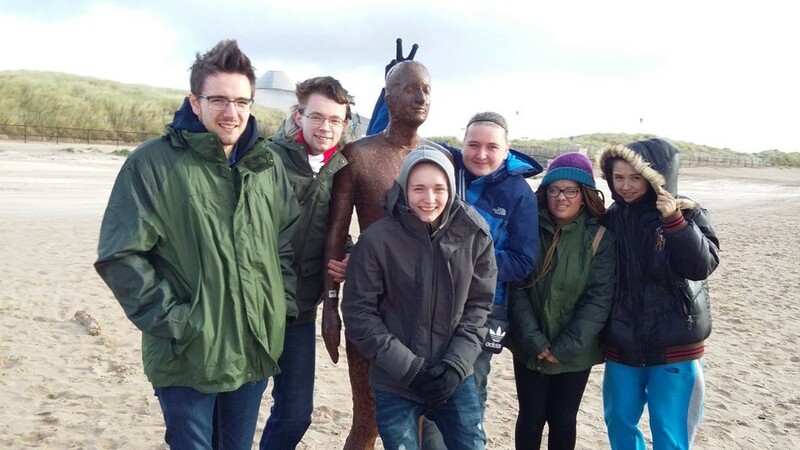 We've had some nice walks from Crosby Marina to Burbo Bank and met the Anthony Gormley statues. Moel Famau is always one of our liveliest walks, it seems to evoke childhood memories in everyone that attends. We've also had some bad weather, it is the UK after all. Either way, we've had some nice walks along the sand dunes and stopped for lunch whilst looking across to Wales and the Wirral coastline. Each walking event includes a healthy lunch and opportunities for relaxing and talking with peers and volunteers. At the moment, the walk and talk Wednesdays are suspended until the new year, mainly due to weather, but also a lack of volunteers. Our staff are currently working on a new set of routes for 2018 so if you're interested in attending or volunteering then please give us a quick call on 0151 237 3986 or fill in our contact form to register your interest.